Alicia Hayter has experience in several areas of intellectual property. She has been involved in advising clients in all aspects of patent law, including utility and design patent application preparation, prosecution, counseling, and portfolio management. Ali additionally conducts searches and prepares corresponding patentability, freedom to operate, and non-infringement opinions. Ali concentrates her practice in a wide variety of mechanical technologies, serving both foreign and domestic clients. Within the mechanical arts, Ali’s practice has involved substantial work with aerospace and aeronautics, elevators, heating and cooling systems, and latch and lock technology. She also has prepared patent applications directed to packaging and manufacturing of consumer goods including food and candy and kitchen appliances. Ali worked onsite for client United Technologies Corporation Building Industrial Systems for a secondment of four months, during which she worked on transactional matters, wrote freedom-to-operate opinions, and worked directly with business unit leaders, UTC Fellows, inventors, and marketing leaders. In addition to working with some of the firm’s largest clients, Ali has counseled several small Connecticut-based businesses in creating an IP strategy and securing their first patents. 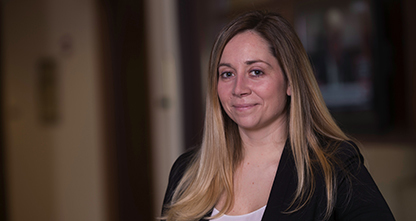 Prior to joining Cantor Colburn LLP, Ali worked as both a mechanical engineer and a patent engineer at Otis Elevator, where she helped develop and protect new technology while attending law school. She has prepared and prosecuted more than 500 utility and design patent applications.